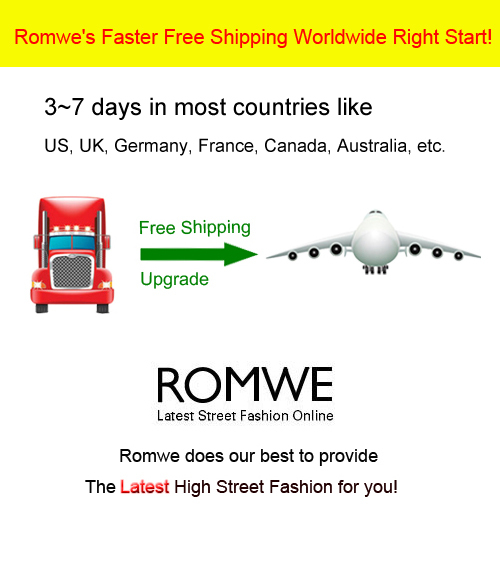 ROMWE - The Latest Street Fashion Online: Right Now, Romwe Is Starting to Offer Faster Free Shipping Worldwide! Right Now, Romwe Is Starting to Offer Faster Free Shipping Worldwide! 3~7 days in most countries like US, UK, Germany, France, Canada, Australia, etc. Romwe does our best to provide The Latest High Street Fashion for you ! It has been only two years since Romwe started to provide the Latest Street Fashion Online. April Xie is the CEO of Romwe, and David Lee is the COO, who is April ‘s husband. April Xie was perplexed a lot by a serious trouble from the beginning of founding the company. That is how to satisfy customers’ need for faster free shipping worldwide. While, what does bring inconvenience to the customers is the delivery. 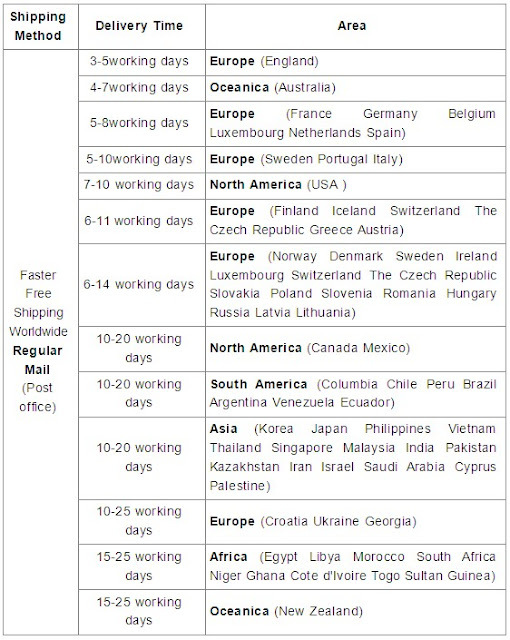 If the customer chooses free shipping, it takes 15-30 days in most countries. That is really a long time. The customer has to pay a lot if she chooses DHL or Fedex. In order to solve the problem and save money for their lovely customers as much as possible, April Xie looked into all the logistics company in Hongkong only to find that no logistics company can make it. After communicating and negotiating for several months, April Xie was in despair. Meanwhile, David Lee who is good at analyzing data found a new way to solve the problem after calculating very carefully, which is that Romwe cooperates with the post office in every country directly instead of cooperating with logistics companies. For example, Romwe cooperates with USPS in North America directly, with Roral Mail Group in UK and some European countries, with HERMES in Germany, with GREEN CARGO in Sweden. What is more, Romwe sets up a mini external warehouse in UK and US. In this way, thousands of parcels can be mailed to the post office in every country directly via a specil air link line in Hongkong, then the parcels are ready for delivery by the local post office. Romwe manages to shorten the delivery time in most countries after updating the center of logistics and reforming the operating method for 3 months. David Lee said that it will be faster in some countries along with optimizing the process. Here is the result of the new shipping way. ROMWE is a global online Latest High Street Fashion retailer and offers over 10,000 branded and own label product lines across women's wear, footwear, accessories and jewellery with approximately 1,000 new product lines being introduced each week. High Quality and Lowest Price, Romwe try our best to save costing for global fashion lovers. this is great! but what about the Caribbean? We love your blog, we are always here giving all the news. Creators Earring Flower of Life. hell ya! this means ill be buying more stuff from now on! and the shipping to México?? I need to buy in Romwe!! Muchas gracias por el comentario!!! Bonito blog, te sigo. Thank you for your visit and comment on my blog. I love your space and I'm following you. kiss. Esse é um blog realmente lindo! E já está nos meus favoritos. Olá, que noticia ótima! Obrigada pela sua visita em meu blog. Volte sempre que quiser. Muitos beijos. Thank you for coming in my blog and for all that you say about it. I don't know Romwe, but I would love to know. How is possible? Keep on visiting my blog. It's so good to see you there!!! Eu quem te agradeço por visitar meu blogue, volte sempre! Curti conhecer aqui também, tudo de bom! Oi seu blog esta cada dia mais bonito, com ótimas dicas. Always great to hear, glad I found your blog! That is such a great news! :] Have to love better shipping! This is so nice! Great idea! Wauw I just love Romwe clothes! That is great! I love the clothes! Thank you for visiting my blog. Welcome and please come back !!!!!! This is the great news for frugal minders which are looking for great deals on shopping.